Products I love to help your body move better! In meditation we drop in to tune out the noise, but when we emerge we are more present to the world around us, possessing a greater ability to experience and express our connection to others. This digital, downloadable CD offers 4 meditations to explore your breath, the throat as the energetic connector between heart and head, building a connection to your self and others as well as learning to listen to your quiet voice of wisdom. Mastering your mind is a key element of mastering your voice. 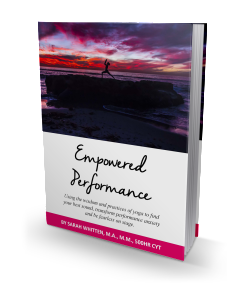 Empowered Performance: Using the wisdom and practices of yoga to find your best sound, transform performance anxiety and be fearless on stage. 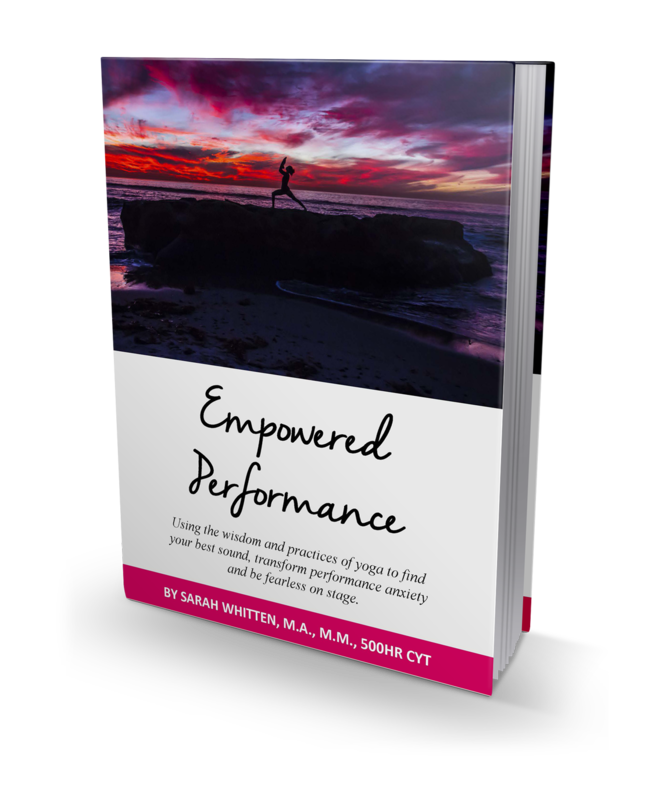 Simple, yet powerful practices drawn from the author’s extensive background in voice and yoga empower you to unlock your best sound. The book brings you inside Sarah Whitten’s Voice and Yoga studio through accessible text and 30 full color photographs.